Password security is a tricky part of running a business. After all, it’s not just dealing with your own password, but those of the many employees all throughout your organization. In times like this, it’s helpful to provide them with a list of how to make the best passwords possible. Here are a couple of examples for what to do, as well as what you shouldn’t do, when building a proper password. Passwords don’t have to be difficult. Here are some easy-to-follow tips for ensuring your passwords are as secure as possible. Use long passwords: Generally speaking, the longer the password is, the better for security. Of course, the contents of the password still matter, but we’ll get to that soon enough. Aim for a length of at least 16 characters. Use special characters, numbers, and symbols: Simply using letters isn’t enough. You should strive to put together a password that consists of both upper and lower-case letters, numbers, and symbols. Use alphanumerics: You’d be surprised by how much more effective alphanumeric passwords work. Try replacing an “i” with a “!” or an “a” with an “@” symbol. 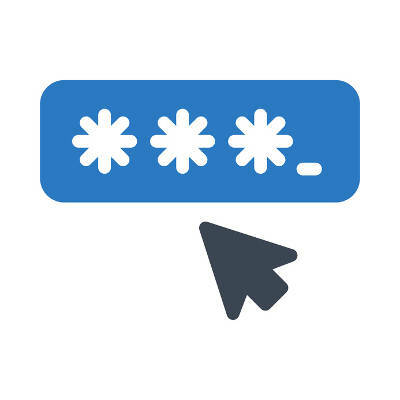 Use different passwords for every account: We know what you’re thinking. Remembering more than one complex password is impossible! We know it might seem difficult, but using different passwords is critical to the success of your online accounts. If one is used for multiple accounts, and that account were to be compromised, all others that use that password would also be at risk. Sometimes best practices aren’t enough. Knowing what to avoid might help your organization minimize the likelihood of data breaches. Don’t use “password”: Avoid using common words in your password, like “password.” These kinds of passwords are incredibly easy to crack and are often the first ones that hackers resort to if they don’t have a better clue about what to guess. Don’t use key strings like “qwerty”: Strings of characters with consecutive keys, like “qwerty” and “12345678” are quite insecure. Don’t include personal or sensitive information: It’s bad enough that a password could be stolen, but what if that password contained other sensitive information that could be leveraged against you? Remove the possibility altogether by keeping sensitive information out of your passwords. If you’re concerned about using complex passwords that are difficult to remember, a password manager can help considerably with this. A password manager stores passwords in an encrypted database protected by a master password, meaning that it will only call passwords as needed. Reach out to us for more information by calling 301-571-5040.